Dr. Sheng Yu is a full professor at the Department of Computer Science, the University of Western Ontario. He obtained both his Masters and PhD degrees in Computer Science from the University of Waterloo, in 1983 and 1986, respectively. His main research areas are in automata and formal language theory and their implementations. He also works in parallel and object-oriented programming languages. He has served as program committee chair and member for a number of conferences, as well as editorial board member for several other journals. He has published more than a hundred and thirty research articles and is an established researcher in his research areas. Dr. Mateen Rizki received his B.S. degree in computer science from the University of Michigan in 1981. He received his M.S. degree and Ph.D. in computer science from Wayne State University, Detroit, in 1982 and 1985, respectively. Dr. Rizki was a lecturer at Wayne State University in 1984-85 and join Wright State University in 1985 where he founded the Adaptive Vision Laboratory. Dr. Rizki is currently a professor in the Department of Computer Science and Engineering, and his areas of interest include evolutionary computation, neural networks, data mining, pattern recognition and image processing. Dr. Rizki has published over 50 refereed articles in variety of areas and has served as principal investigator on numerous federal contracts and grants. Dr. Rizki has received the Wright State University’s College of Engineering and Computer Science’s Award for Overall Faculty Excellence (1991-1992 and 2003-2004), Award for Excellence in Professional Service (1993-1994), and the Award for Excellence in Teaching (1996-1997). Dr. Rizki serves on conference program committee (SCI, PPSN, LCV, and CEC) and is an associate editor for the journals BIOSYSTEMS and IEEE Transactions on Evolutionary Computation. In addition, he is a member of Tau Beta Pi, ACM, SPIE, IEEE, and Sigma Xi. Prof. Junping Sun received his Ph.D. and M.S. degrees in Computer Science from Wayne State University, Detroit, Michigan, USA in 1992 and 1987, respectively, the B.S. degree in Computer Science and Enginnering from Southeast University (previously, Nanjing Institute of Technology), Nanjing, China in 1982. Professor Sun is currently a faculty member in Graduate School of Computer and Information Sciences, Nova Southeastern University, Fort Lauderdale, Florida, USA, where he has been since 1992. Professor Sun's research interests are database management systems, data warehousing, data mining and knowledge discovery. Professor Sun is currently an associate editor for International Journal of Computer and Their Applications. He served as for various International Conferences and Journals including ACM/IEEE, and various book publishers in the capacity of conference co-chair, program committees, reviewers, referees, etc. He is a member of ACM, ACM SIGMOD, ACM SIGKDD, ACM SIGACT, IEEE Computer Society, IEEE SMC Society, and a senior member of IEEE. He is also a member of Upsilon Pi Epsilon. Prof. Li XU is currently Full Professor and Ph.D Advisor in the Department of System Sciences and Engineering at Zhejiang University. He received B.S., M.S., and Ph.D degrees from the Department of Electrical Engineering at Zhejiang University (China) in 1986, 1989, and 1997, respectively, all in Industrial Automation. He held the position of visiting Associate Professor at The Ohio State University (U.S.A) from October 1997 through November 1998, working with Prof. Yuan-Fang Zheng, who was the vice President of the IEEE Robotics & Automation Society and Chairman of the Department of Electrical Engineering at The Ohio State University. He won Sci. & Tech. Awards from the State Educational Committee and Zhejiang Provincial Government, China. Dr. Xu has published more than 60 journal papers and international conference papers, including papers in Autonomous Robotics and IEE Proceedings on Control Theory & Applications. His research interests include robotics, neural networks, intelligent control, complex science, and industrial automation. 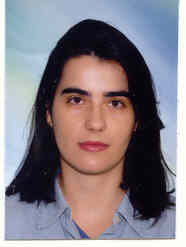 Dr. Elsa María Macías López is an associate professor of Telecommunications at Las Palmas de Gran Canaria University, Department of Telematics Engineering, Spain. She received her Ph.D. in Telecommunications (2001) from Las Palmas of Gran Canaria University for her work on Parallel Computing on a LAN-WLAN Cluster Controlling at Runtime the Variation of the Number of Proccesses. She received her M.S. in Telecomunications (1997) from the same University for her work on Parallelization of Diffuse IR Radiation System Simulation for Indoor Applications. Her research interests are in parallel and distributed computing and infrastructure wireless networks for collaborative computing. Her current research efforts have focused on the management of wireless channel disconnections to prevent abrupt endings of applications. She has published about 8 papers in refereed journals, 40 papers in refereed conferences, 1 paper in Spanish magazine, one educational book and co-editor of one book She is member of Program & Organizing Committees & Chair sessions for several international and Spanish conferences. She has collaborated in several research projects. Professor Macías teaches telecommunications at the beginning, advanced, and graduate levels, and advises graduate theses in the area of wireless communications and parallel and distributed computing. Dr. Ahmad Abdollahzadeh Barfourosh is Associate Professor, Computer Engineering Faculty in Amir Kabir University of Technology. He is also Director of Research activity, Computer Engineering Faculty, Amirkabir University of Technology. His researches are: System Analysis, End-User Computing, Accounting and Management Information systems, Decision Support System, Databases, RDBMS, Case Tools, Software engineering, methodology and standard (SSADM, IEEE, ISO- 9000), Artificial Intelligence, Natural language processing (NLP), Expert Systems, Knowledge Engineering, DSS, Knowledge Representation Systems, AI techniques. He has published more than 50 referred research papers. Dr. Sudip K. Mazumder is the Director of Laboratory for Energy and Switching-Electronics Systems (LESES) and an Assistant Professor in the Department of Electrical and Computer Engineering at the University of Illinois, Chicago. He has over 10 years of professional experience and has held R&D and design positions in leading industrial organizations. His current areas of interests are interactive power-electronics/power networks, renewable and alternate energy systems, and new device and systems-on-chip enabled higher power density. Prof. Mazumder received the ONR Young Investigator Award, NSF CAREER, and the DOE SECA awards in 2005, 2003, and 2002, respectively. He also received the Prize Paper Award from the IEEE Transactions on Power Electronics and the IEEE PELS in 2002. Dr. Mazumder is an Associate Editor for the IEEE Transactions on Industrial Electronics and IEEE Power Electronics Letters. He has published over 50 refereed and invited journal and conference papers and is a reviewer for 6 International Journals. Dr. Lars Nolle is a Senior Lecturer in Computing in the School of Computing and Informatics at the Nottingham Trent University. He graduated from the University of Applied Science and Arts in Hanover in 1995 with an engineering degree in Computer Science and Electronics. After receiving his PhD in Applied Computational Intelligence from The Open University, he worked as a System Engineer for EDS. He returned to The Open University as a Research Fellow in 2000. He joined The Nottingham Trent University as a Senior Lecturer in Computing in February 2002 but also remains a Visiting Research Fellow with the Open University. His research interests include: computational optimisation, applied computational intelligence, distributed systems, expert systems, optimisation and control of technical processes. He has published more than 50 papers in peer-reviewed journals and conferences in the area of computational intelligence for engineering applications. Dr Nolle is on the technical program committee and organizer/co-organizer of several conferences. He also has been a reviewer for more than ten international conferences and various journals, including the Journal of Electronic Imaging, Engineering Optimisation, and the IEE Proceedings Vision, Image & Signal Processing. In 2002, he won the British Computer Society Price for Progress Towards Machine Intelligence. Dr. D. Manivannan is an associate professor in the Department of Computer Science at the University of Kentucky, USA. He received the Ph.D. degree from the Department of Computer Science and Engineering at The Ohio State University, Columbus, Ohio, under Professor Mukesh Singhal. His research interests include fault-tolerance and synchronization in distributed systems, mobile computing systems, channel allocation in cellular networks, routing in wormhole networks, wireless networks, and sensor networks. He has been committee member of international conferences. Dr. Goh Ong Sing is Associate Professor at National Technical College, University of Malaysiais. He is also a Director of University Press and the Chairman of the Center for Artificial Intelligence and Modeling (CAIM) at the National Technical College University of Malaysia (KUTKM). Currently, he is a Researcher and a member of the Game & Simulation Research Group based at Murdoch University, Perth, Western Australia. His main research interest is in the development of intelligent agent, natural language processing and speech technology to facilitate graceful human-computer interactions, conversational robot and mobile services. He is the author of more than 40 peer-reviewed scientific journal, books and conference papers. He has led and worked on research grants funded by Malaysian Government’s Intensified Research in Priority Areas and Malaysia Technology Development Corporation. His invention called Artificial Intelligent Neural-network Identity (Aini) has been recognized and awarded as the Best Individual Inventor 2004 by Japan Institute of Invention and Innovation (JIII), Gold Medal MINDS 2004 Awards at 15th International Invention Innovation Industrial Design & Technology Exhibition. Dr. Gareth Howells is a Lecturer in Electronic Engineering at the University of Kent, U.K. He received his PhD degree in Computer Science in 1991 specialising in the investigation of the practical difficulties present in the efficient exploitation of various aspects of Theoretical Computer Science in the large. Subsequently, he was involved in postdoctoral work into the formal verification of digital systems and the practical application of weightless RAM-based artificial neural networks. This work resulted in the development of a number of distinct artificial neural architectures and the development of a formal mathematical model describing their behaviour. Since 1996, he has been involved in research areas relating to biometrics, image processing and pattern classification techniques. He has been awarded, either individually or jointly, several research grants relating to the pattern classification and document security fields from both UK and EU funding sources and has published widely in these areas. Recent work has been associated with the design of secure distributed documents using biometrically based security features and encryption techniques. His research interests have also involved the practical application of formal mathematical logic to the design both of artificial neural networks and more general pattern classification techniques. Current projects include the development of an intelligent autonomous navigation system, the development of tools to aid the formal verification of embedded systems, the development of intelligent omnidirectional sensors and the use of biometric based encryption systems for document and network security systems. Dr. Bataineh received a Doctor of Science (D.Sc) degree in computer science from George Washington University, Washington(USA), in 1993. He has twelve years of broad professional experience in higher education, particularly in the academic leadership and administration, undergraduate, development and administration of academic programs, research and scholarly activities, university services, strategic planning, budget management, accreditation, curriculum design and program review and development, and enrollment management. Between 2001-2004, he served as the Assistant Dean for the College of Information Systems at Zayed University, Dubai, UAE. Between 1997-2000, he served as Chairman of the Math and Computer Science Department, at Olivet College, Michigan, USA. In 1997 he was a Visiting Professor in the Department of Math & Computer Science at Southern Arkansas University. Dr. Bataineh has published in many refereed international conferences as well as serving in program committees, advisory boards, and editorial review boards for various international Journals and conferences. His research interests include multimedia computing, electronic learning, mobile-agent applications, Web Service technologies, and e-commerce and e-business. Dr. Peter Tabeling has been Assistant Professor and head of a research group at the Hasso-Plattner-Institute (HPI) for IT-Systems Engineering in Potsdam, Germany, from 2000 until 2006. At the HPI, he held lectures about software architecture and modeling and lead projects with industrial and academic partners. In 2006 he took over a leading position at Intervista, a German IT company. Dr. Peter Tabeling is co-developer of the Fundamental Modeling Concepts (FMC) approach and is author and co-author of several books and other publications. Dr. Anthony Brabazon lectures at the School of Business in University College Dublin, Ireland. His Doctorate was awarded by Kingston University in London, and he has also studied at and obtained degrees from University College Dublin, Stanford University and Heriot-Watt University. Dr. Brabazon's research interests include mathematical decision models, the design and theory of biologically-inspired algorithms, and the application of these algorithms to the domains of finance and bioinformatics. He has published in excess of 80 peer-reviewed publications. He has recently co-authored the book Biologically Inspired Algorithms for Financial Modelling published by Springer, and has been a member of the programme committee at both EuroGP and GECCO conferences, as well as acting as reviewer for several journals. He has also acted as consultant to a wide range of public and private companies in several countries. Dr. Dickson K.W. Chiu is the founder of Dickson Computer Systems in Hong Kong. He received the B.Sc. (Hon.) degree in Computer Studies from the University of Hong Kong in 1987. He received the M.Sc. (1994) and the Ph.D. (2000) degrees in Computer Science from the Hong Kong University of Science and Technology, where he worked as a Visiting Assistant Lecturer after graduation. He also started his own computer company while studying part-time. From 2001 to 2003, he was Assistant Professor at the Department of Computer Science at the Chinese University of Hong Kong. His research interest is in Information Systems Engineering for e-/m-commerce with a cross-disciplinary approach, involving Internet technologies, software engineering, agents, workflows, information system management, security, and databases. His research results have been published in over 60 technical papers in international journals and conference proceedings, such as IEEE Transactions, Information Systems, and Decision Support Systems. He served in program committees of several international conferences, such as the IEEE International Conference on Web Services, IEEE International Conference on e-Technology, e-Commerce and e-Services, and International Conference on Web-Age Information Management. He received a best paper award in the 37th Hawaii International Conference on System Sciences in 2004. Dr. Chiu is a Senior Member of the IEEE as well as a member of the ACM and the Hong Kong Computer Society. Dr. Igor Wojnicki is at AGH - University of Science and Technology, Krakow, Poland as assistant professor. His research interests are: UNIX and UNIX-like/based systems and applications, and Knowledge processing, declarative programming and Databases. He has earned his experience in many domains of Computer Science. He worked with computer networks, security, infrastructure design, and cabling. He has worked as programmer: databases, human-computer interactions, data acquisition and analysis. And last but not least teaching: different courses ranging from image processing, programming, systems administration, databases, knowledge-base systems, to artificial intelligence. Dr. Yongqing Sun is currently a Guest Researcher of the Department of Information and Computer Science, Keio University, Japan. She received the B.E. and M.E. degrees in Computer Science from Xi'an Jiaotong University (XJTU), China, and obtained Ph.D. degree in the Department of Information and Computer Science at Keio University. She worked as a software engineer in Motorola, Beijing in 2001. She has published research journal papers, book chapters, and conference papers mainly on novel aspects in multimedia information processing. Her research interests include image/ signal processing, image compression, multimedia retrieval, machine learning, statistics pattern recognition.